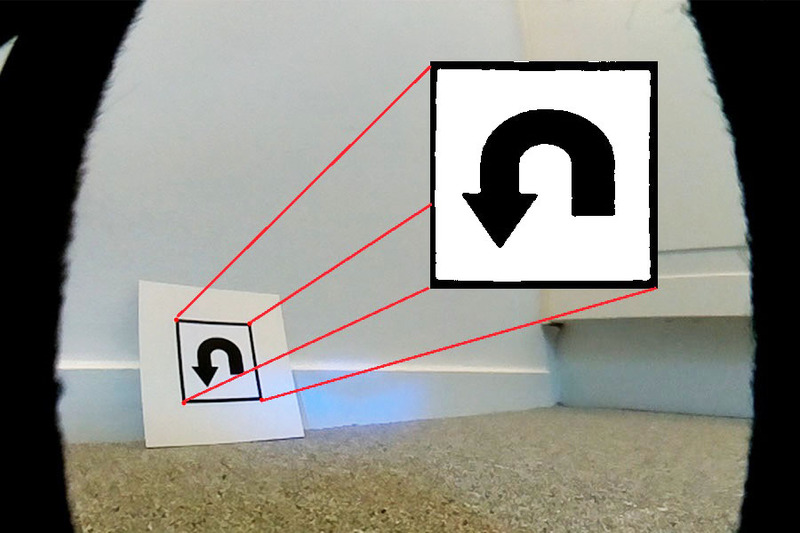 This is my attempt at building a really good obstacle avoidance robot. 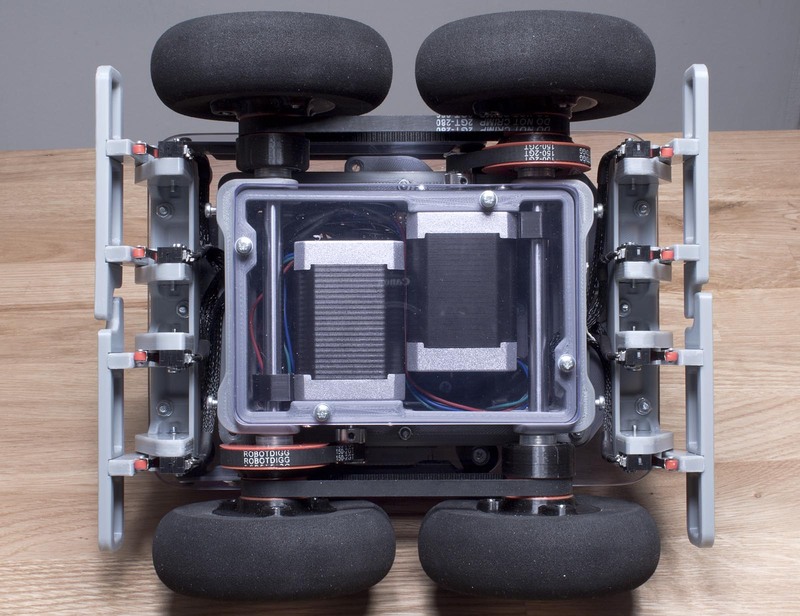 The robot is built to drive around a normal indoor environment without getting stuck on stuff. 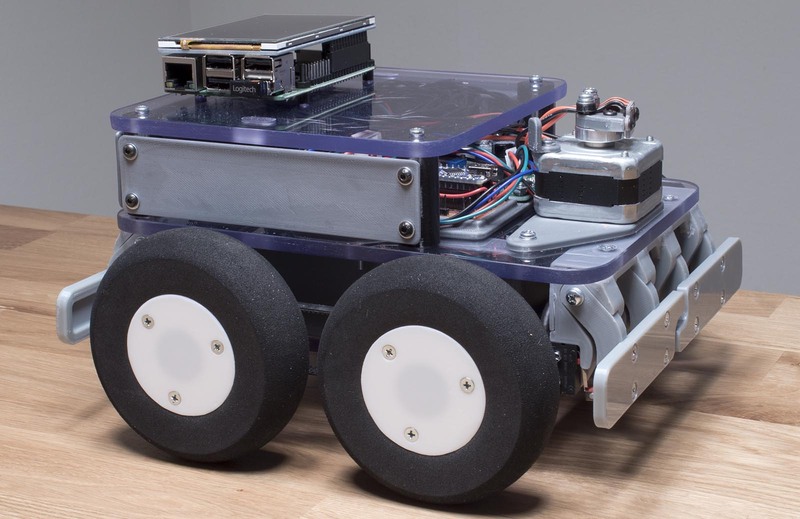 The robot uses an Arduino Maga 2560 and several sonar sensors to detect obstacles. 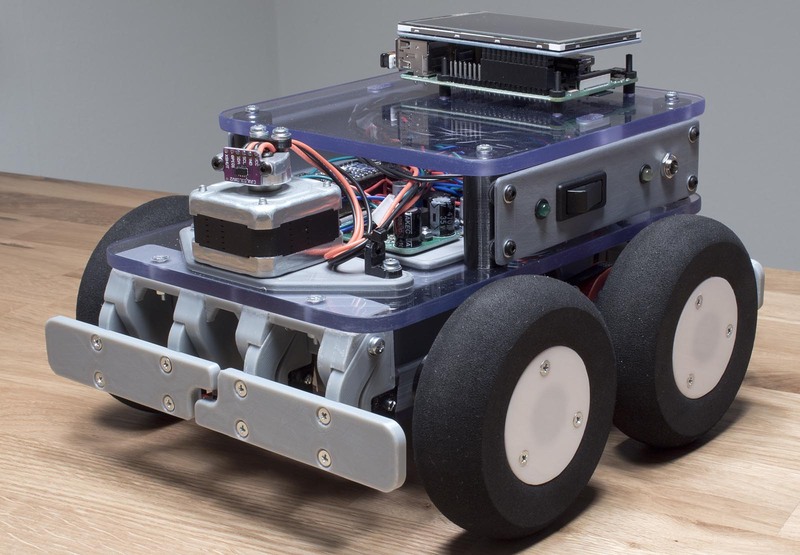 This robot also has a Raspberry Pi and camera module, that will be used for computer vision experiments in the future. This entry was posted in Arduino, Electronics, Robots on October 12, 2017 by Axel.